24 Hour Towing emergency services include, Heavy Duty Towing and many more. Auto Towing Services (757)775-1159 provided by 24 hour Towing are available for both light duty vehicles and heavy duty vehicles. We are available 24 hour a day, 7 days a week, 365 days a year. Anytime or anywhere you need us we will be there in 60 minutes or less. Our services are available in Hampton Rds. 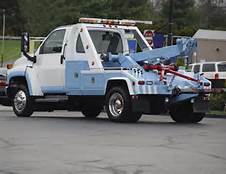 We are legally bonded, approved and licensed 24 hour towing service providers.